New York: The National Council, 1937. PEOPLE of Oriental birth or parentage, numbering nearly 300,000, are living in continental United States. There are 80,000 Chinese, the men outnumbering the women eight to one. The majority of these live around San Francisco Bay. There are 140,000 Japanese, more than half of them American-born. With them, too, the men outnumber the women but not nearly in such proportion as the Chinese. Their center of population is Los Angeles. There may be as many as 6,000 Filipinos; estimates vary. They are nearly all young men. The Japanese are in town and country; the Chinese are mostly city-dwellers; the Filipinos are divided between a migratory group, who follow seasonal occupations, and a large number in domestic service and in hotels. In the cities the Orientals are almost invariably compelled to live by themselves in the worst section, constantly surrounded by evil influences. Even if they resist the evil, they have nowhere to turn for decent recreation, much less for religious help. "Between exploitation at the hands of the worst people in the city and the utter indifference of the best people, they haven't a chance to lead decent lives. It is a wonder that so many do keep clean physically and morally," writes Bishop Bartlett in reference to the Filipinos. And speaking of Chinese night schools, he says, "These schools are particularly [2/3] valuable for the young men are in a dangerous position morally. Only the influence of the Church can keep them straight." There are three important causes for the problems which arise in Oriental-American relations: First, race prejudice; second, immigration laws which may have been well meant but which are considered by many to be wholly unfair in their discrimination against Orientals; and third, economic antagonism which cannot be lightly dismissed but which needs careful study by competent authorities who can be both sympathetic and just. The federal immigration law of 1924 contains a clause barring from admission under the quota system those races whose members are not eligible to become citizens; and only members of the "white" and "black" races are eligible. Extension of the quota system to Chinese and Japanese is now advocated by many Americans and Orientals. Since the passage of the Philippine independence bill early in 1934, admission of Filipino immigrants has been limited. Economic antagonism springs from a difference in standards of living and habits of work which sometimes enable the Oriental to rival or surpass his white neighbor. All the foregoing difficulties apply to the Oriental of foreign birth. The American-born younger people of the second and third generations, who by virtue of their birth in this country are citizens of the United States, have additional troubles of their own. While they have a rich heritage in the two great cultures of East and West, they are yet in a real sense [3/4] children without a country. They are too Oriental to be taken for granted by their American friends, and yet they have had no first-hand experience of the Orient itself. There is often a cleavage between them and their parents who cling to conservative old-style social customs and view with consternation the harum-scarum ways of young America. Further, even when they have been born in the United States, brought up in the American environment, and well educated in American public schools, there is still enough prejudice against employing them in normal trades and professions to turn them back to the limited opportunities among their own people. Hence the present need of Chinese and Japanese language schools where they may learn the language of their fathers, needed for the only work open to them. All these problems, however acute, would dissolve under the patient application of Christian principles, and nothing can help more than [4/5] the individual thoughtfulness and friendliness of every Christian, whether it be in personal relations with Orientals, or in developing public opinion to improve legal and economic conditions, or in supporting the Church's work among them. Many home mission boards and societies, Presbyterian, Methodist, Roman Catholic and others, are ministering to these Orientals. There are nearly two hundred mission centers in all, some with fairly large congregations, many with small groups. Some congregations have as few as twenty-five baptized persons, others have as many as three hundred. The smallest Sunday [5/6] schools enroll twenty-five children, the largest have four hundred. Some of these missions are doing excellent work, some are not so promising. Almost everywhere the major emphasis is given to the young people's work. In spite of all this activity, there are thousands not touched by any Christian work; perhaps two-thirds of these people practice no religion whatever. As for the Filipinos, out of the possible 65,000 in the country, hardly more than 2,000 are reached even superficially by any Christian influence. These people have one of the most proud and fascinating racial mixtures to be found among human beings. As the Rev. Dr. Herbert H. Gowen has pointed out, their basic stock is Malayan, reaching back to the days when Sanskrit was a spoken language, and to this has been added, through several hundred years, Chinese, then Spanish, and more lately, Anglo-Saxon. As above mentioned, the Episcopal Church has no organized work among them. There should be an itinerant ministry as [6/7] they are mostly a migratory group. Circuit-riders are needed who could follow them about, cheer them in their homesickness (these youngsters who have come a month's journey to the promised land of glorious opportunity only to be desperately disillusioned), keep them out of the clutches of gambling dens, commercial pool rooms and houses of vice, help to secure for them opportunities for wholesome recreation, distribute good literature, and bring them into the Church's life. They would be found most responsive. 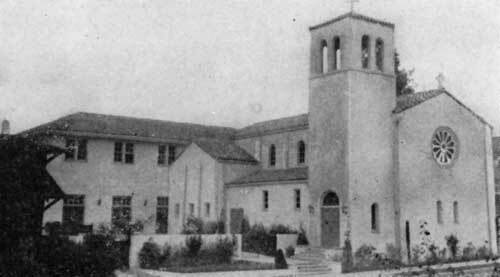 ST. MARY'S JAPANESE MISSION, Los Angeles, long familiar to California Church people, became known in other parts of the Church a few years ago because of its urgent need of new buildings. An old frame house, almost bursting from the vigorous mission activities, at last was replaced by a fine new church and parish house to which any Churchman may now point with at least vicarious pride. Gifts for it came from the diocese, from the National Council, and from the Japanese themselves, many of whom pledged a whole month's income. The priest who has been in charge since his graduation from the Berkeley Divinity School and his ordination more than twenty years ago is the Rev. John Misao Yamazaki. He has services in Japanese and English for about ninety communicants and a throng of Church school children. Mr. Yamazaki says, "With our people the mission is not only the place of worship but the center of their social life," For this reason [7/8] there are many lively organizations. In the spring of 1934 nineteen were baptized here, and fourteen were confirmed. During the week a pre-school and kindergarten program goes on all morning, "giving us an excellent opportunity," Mr. Yamazaki says, "to start Christian education where it should start, in infancy. It is hard for people who have a Christian background to realize how important it is to reach these non-Christian children at an early age. Now, after twenty years of teaching, hoping and waiting, it is a great satisfaction to see the seed sown in the kindergarten bear fruit. Many of our active young Church members were the kindergarten pupils in the early years." There is also a language school for the older children. In San Francisco, Christ Church Japanese Mission, a group of some forty communicants with Church school, young people's organizations, and language school, was for a time under the care of Rev. John Sakurai and the Rev. Stephen Kimura, clergy from Japan who had been studying in this country and had become members of the Community of St. John the Evangelist. They did very capable work, but they later returned to Japan. The San Francisco mission was then placed in the charge of the Rev. Joseph Kenjiro Tsukamoto, a graduate of the General Theological Seminary, an American-born Japanese, familiar with American viewpoints. In 1934, he went to Japan for several months in order to learn Japanese, or rather, to perfect his knowledge of that language. In the [9/10] mission as elsewhere the younger generations are becoming more and more the dominant factor and are learning to assume leadership. Reports from San Francisco in the spring of 1934 showed that the local Japanese Buddhists were making a special effort to adopt all the effective methods the Christians were using to win the Japanese. A movement "back to the ways of Japan" on one hand, and the immigration law on the other, have made hard going for the mission, but it has progressed. There were five baptisms in 1933 and four persons were confirmed early in 1934. Financially there was a considerable gain over previous years. About fifty Japanese Churchmen in San Mateo, a few miles south of San Francisco, are ministered to by an elderly Japanese priest, the Rev. 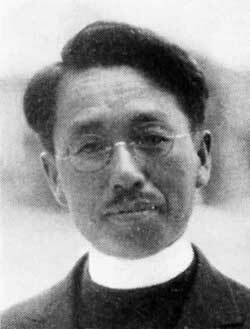 Barnabas Hisayoshi Terasawa, who holds services and conducts a Church school. He has also been able to do a little work among Japanese in other communities. St. Peter's Japanese Mission, Seattle, with about eighty communicants, now rejoices in a new building erected in 1932 after long years of struggle. As yet they have no church, though one is still urgently hoped for. In the meantime they use a parish hail with a screened chancel. It is an excellent building of its kind and sometimes houses seven organizations in simultaneous meetings. This mission was started by Dr. Gowen in 1916. Since 1920 it has been in charge of the Rev. Gennosuki Shoii. We have one more Japanese mission on the Pacific Coast, and this is one for which a new [10/11] building is greatly needed, the White River Valley Mission, near Kent, Washington, in the Diocese of Olympia. No other Christian work is done among Japanese in the White River Valley, where there are some 2,500 market gardeners. The Rev. Paul Ito had carried on this work until his death in 1931. Since then a layman, a physician and candidate for Holy Orders, Dr. Paul Shigaya, has been in charge. Years ago there was a young Japanese student working in the home of the rector at Kent. The boy asked if a Bible class might be started for other Japanese boys, which was done, and out of that class the mission has developed. That former student is the present layman in charge. One more center of Japanese work which may be described is not on the Pacific Coast but in western Nebraska. A young Japanese from a well-known family in Tokyo graduated in 1916 from the Tokyo Imperial University, with a Bachelor of Science degree. In the autumn he entered the State University of Nebraska as a graduate student in agriculture and duly receive a Master's degree there. In 1919 he became a farmer in western Nebraska. A few months later he met Bishop Beecher during a session of the State Legislature when a bill concerning the Japanese was under discussion. 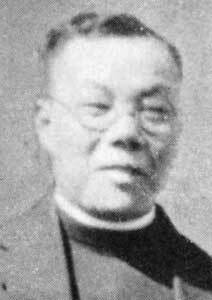 The Bishops acquaintance with the young Japanese, Hiram Kano, rapidly became friendship, soon Mr. and Mrs. Kano were confirmed, and in 1925 Mr. Kano was appointed a lay missionary among the Japanese, most of whom were farmers. He was ordained to the diaconate in 1928. The neighboring clergy and other Church workers have co-operated with him in one of the most wholesome pieces of missionary work. Though services are irregular, as the field is large and many of the people live in or near towns where the Episcopal Church has no work, yet even so, by the spring of 1934 there had been 250 baptized and 50 confirmed since this work began. Not least of Mr. Kano's offices is that of interpreter between the two races. He has taught American history to the older Japanese (the young ones get it in school) and has lectured them all on their duties as American residents or citizens. He has also addressed many American groups on Japanese history and customs. Once when Bishop Beecher was in Washington, D. C., one of the secretaries of the Japanese Legation interviewed him to express deep appreciation for the reports that had been received about all this work. Something of the feeling for America which Mr. Kano cultivates among these people from the Orient, against whom our laws discriminate, may be seen in the speech which he once made in a memorial service held at the cemetery where some of the Japanese were buried. "The persons who are buried here," he said, "have been proud to become a part of the soil of America." In 1933, Mr. Kano went to live on a farm and the Church's work among the Japanese has since been carried on largely by one of the other clergy and Deaconess LeHew. The Western Nebraska Churchman reported in the spring of 1934: "This work among the Japanese is growing steadily and there is a real desire among them that the Church teach their children Christianity." EVERY tourist knows San Francisco's Chinatown, the curling eaves, the narrow streets, gay at one end, odoriferous at the other where silks and jade give way to unusual edibles. Fewer tourists have discovered that the Episcopal Church is at work in the True Sunshine Mission, of which the Rev. Daniel G. C. Wu is priest-in-charge, He is also in charge of a similar but smaller mission in Oakland. There are about sixty communicants in the two missions together, with a larger number of baptized persons. Services and Church school are held throughout the year. In addition to activities on Sunday, each mission has a daily Chinese language school, attended by about two hundred and fifty. Here the children not only learn to read and write [13/14] Chinese but they are instructed in the Creed, the Commandments, and all other things which a Christian ought to know and believe to his soul's health. This good work is not alone for the children, for they of course carry it straight home to their parents. A Chinese Church school was started at All Saints' Church, Palo Alto, California, in 1933, by a woman of the parish who wanted to do some missionary work and believed that she could work with Orientals. Palo Alto has only a small Chinese colony, perhaps a dozen families. 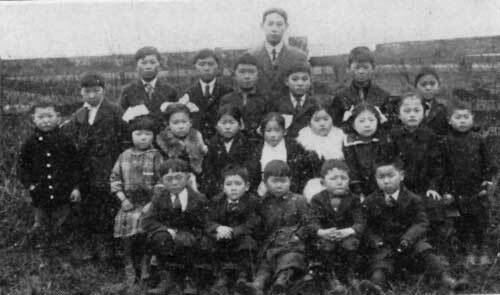 The Chinese Sunday school started with fifteen children and within three years had forty-five. BRENT HOUSE, Chicago, is a student center where under the wise and motherly care of the resident worker, Mrs. George Biller, a friendly and homelike atmosphere meets and surrounds lonely students, not only from the Orient but from many other parts of the world. As a rule the men and women who come to Brent House are graduate students. They go out to assume responsible positions of leadership in their native lands with a broader and deeper vision of the needs of the world and of their own country, and not infrequently with an entirely new personal basis for their own lives. EFFECTIVE work with Orientals is done in many of our parishes. Indeed, the ordinary act of being friendly should never be forgotten as one of the best and most necessary pieces of [14/15] work that Episcopal Church people can possibly do among their Oriental neighbors. This applies to tourists as well as to settled residents. "The grace of God is in courtesy." Instances of this are known, and there must be many more never recorded. A Chinese laundryman has been confirmed in one of the southern Atlantic dioceses; a Japanese deacon, studying in New York, has assisted regularly at a week-day service in one of the city churches; Grace and St. Peter's Church and Emmanuel Church, Baltimore, have large Chinese Church schools. The persistent friendship of one of the clergy throughout many years is said by a student of the situation to have changed the attitude of his whole community from antagonism to good will toward their Japanese neighbors. A young Christian Chinese woman from St. Mary's Hall, Shanghai, came to the United States to continue her studies. On her return to China she said she had ceased to be a Christian because of the way she had been treated in this country. A young Chinese boy who was befriended by Christian people in Charleston, South Carolina, many years ago, went back to China an earnest Christian, and married an equally earnest Christian wife. Their family today is one of the most influential in China. Four children have [15/16] been trained in the United States. One daughter married Sun Yat Sen, the founder of the Chinese Republic; another married Chiang Kai Shek, China's chief leader today; a third married Kung Hsiang Hsi, finance minister of China in 1934; and. the fourth, a son, Soong Ts Vung, was a former finance minister and has represented China at international conferences. The Christian influences which have gone out from this family are incalculable and, humanly speaking, they go back to Christian friendliness toward a Chinese boy in America. Three contributions which Episcopal Church people may make toward the solution of this whole problem are: First individual personal sympathy and kindliness; second, the rousing of public opinion that will lead the proper authorities to alter discriminatory laws, to improve economic and social conditions as they affect these groups, and to eliminate the degrading moral evils which surround them; and third, generous support which will not only provide For the Church's work as it is but will make possible an extension of it into unoccupied fields. It is strange indeed that there should be at this late date, among these relatively small groups, fields still unoccupied by the Christian Church.